Sri Lanka’s cash-strapped national carrier said on Wednesday (October 5) it will pay a penalty for cancelling leases on four Airbus A350s, with official sources putting the figure at about $115 million (£90m). SriLankan Airlines chairman Ajith Dias said it cancelled four of the long-route planes from leasing giant AerCap that had been contracted by the former government. Dias, who did not give a figure for the penalty, told reporters the planes were not required as the airline was focusing on more profitable short-haul flights. The move comes as the current government is in the process of finalising a partner to revive the loss-making carrier. Dias said the fate of another four A350s ordered for delivery after 2020 will have to be decided by the new investment partner, although the current government has said it wants the entire deal scrapped. 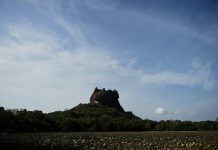 SriLankan pulled out of three leases on Tuesday after agreeing to pay $98m (£77m), a government source involved in the transaction said. The airline also paid $17.7m (£13.9m) earlier this year to stop delivery of the fourth that had been due next year, the source said. “The penalty translates roughly to the lease rentals for 24 months for three aircraft that should have been delivered from this year,” the source said, asking not to be named. There was no immediate comment from AerCap. Former president Mahinda Rajapaksa ordered all of the planes as part of a $2.3-billion (£1.8bn) re-fleeting programme for the airline that is now being investigated for corruption. The airline is weighed down by losses of nearly a billion dollars. It has called for bids from investors to inject capital and take over the management and return the company to profit. SriLankan was profitable before Rajapaksa cancelled a management agreement with Emirates in 2008 following a personal dispute. The carrier had refused to bump fare-paying passengers and give their seats to Rajapaksa’s family members.